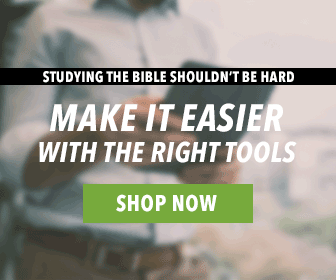 We thought this would be a perfect time to give you a look inside this classic resource. As always, you can find content inside the Anchor Yale series that relates to the passage you have open. Just look in the Resource Guide! 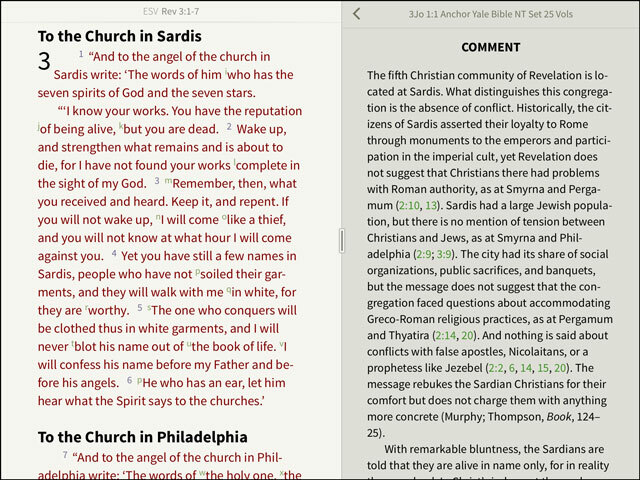 Then, you’ll be able to quickly navigate to which part of the commentary you want to read. 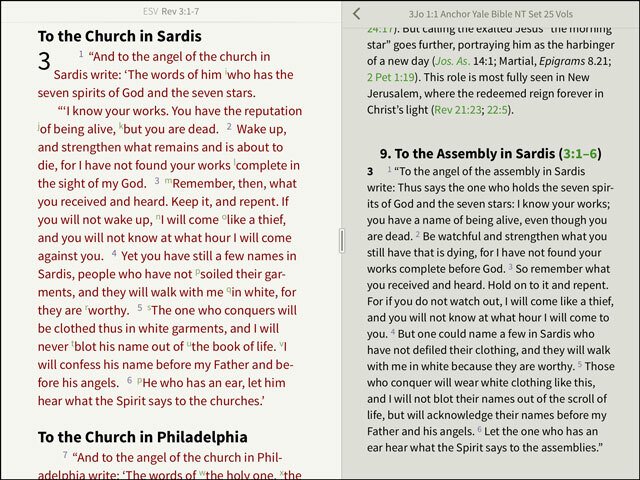 The Anchor Yale series comes with its own translation, textual notes, dictionary entries, and commentary. Here are some examples of the different kinds of content you’ll find inside the Anchor Yale Commentary Series. 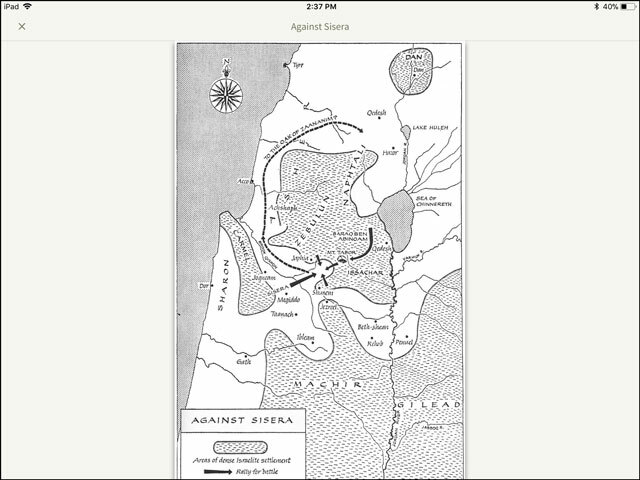 This commentary series also has maps sprinkled throughout it. These will also appear in the Resource Guide when a map in this series is applicable to the passage of Scripture you are reading. There are in-depth introductions for every volume. 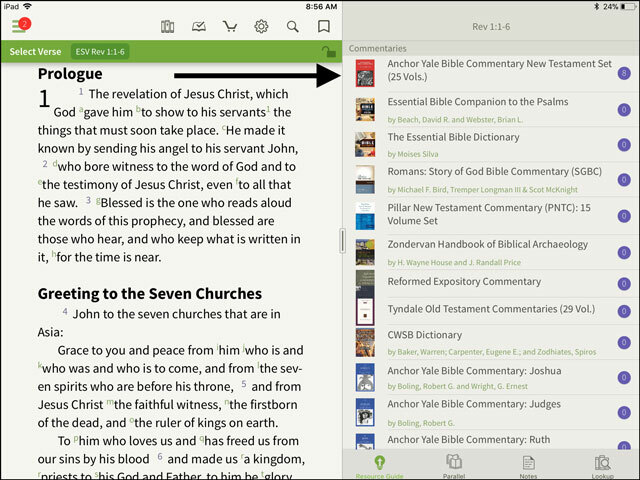 Outlines will appear in the Resource Guide for quick access. Here’s one from the new Revelation volume. All of those green verse references are hyperlinked. 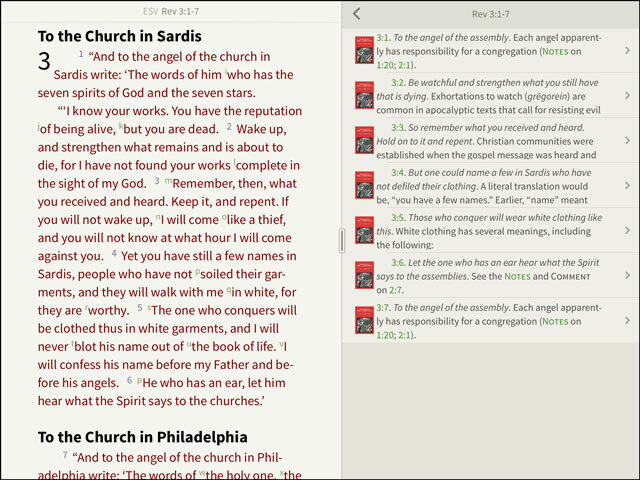 If you tap on them, a pop-up window will appear, showing you the Scripture immediately and conveniently. And, of course, there are plenty of indexes! 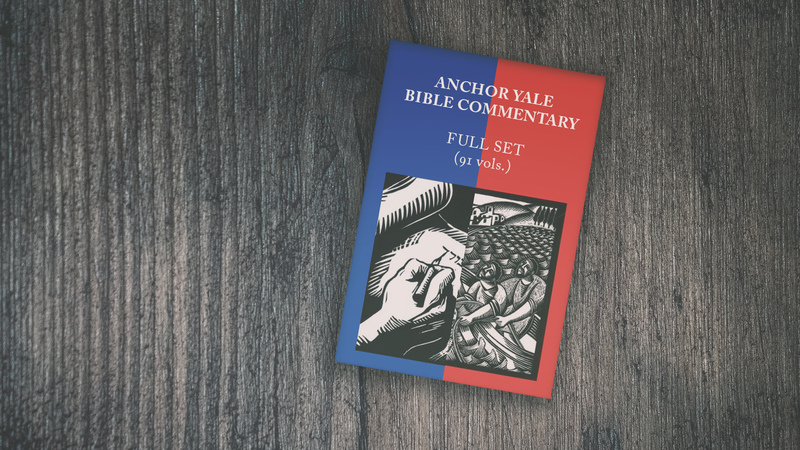 Now that you’ve looked inside the Anchor Yale series, head on over to our website! 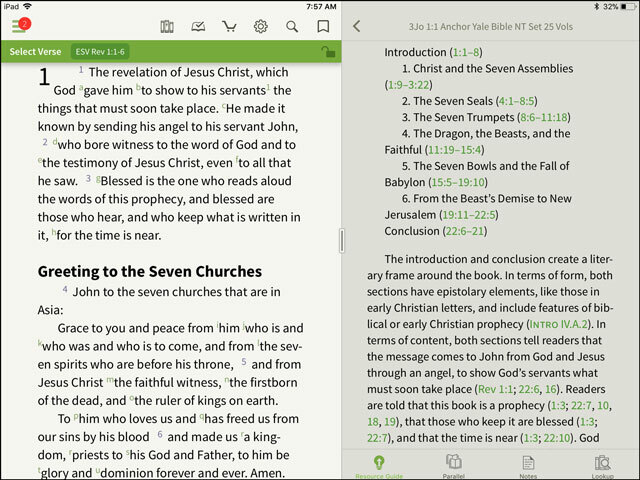 You can read a description provided by the publisher, see all the volumes that we have available, and watch a video on how commentaries work in our app.